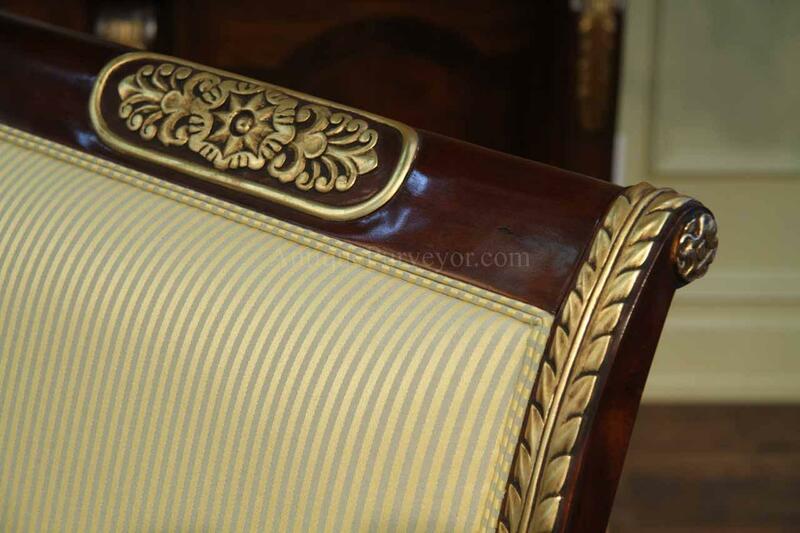 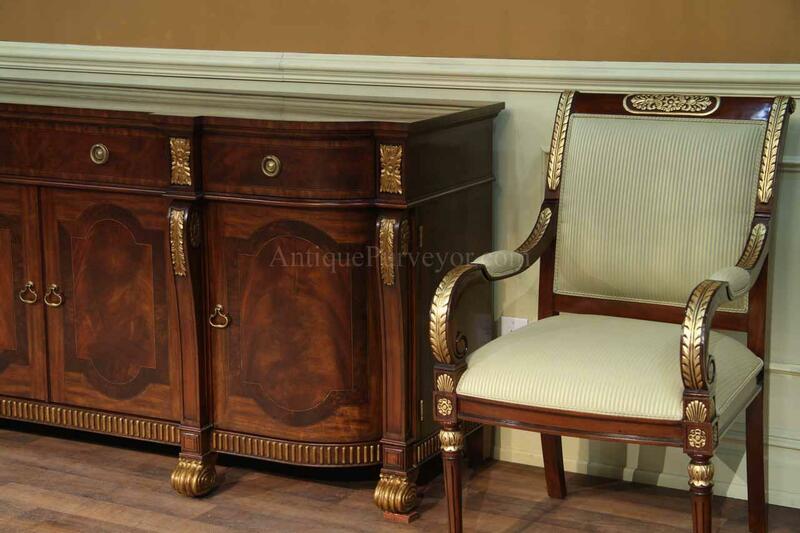 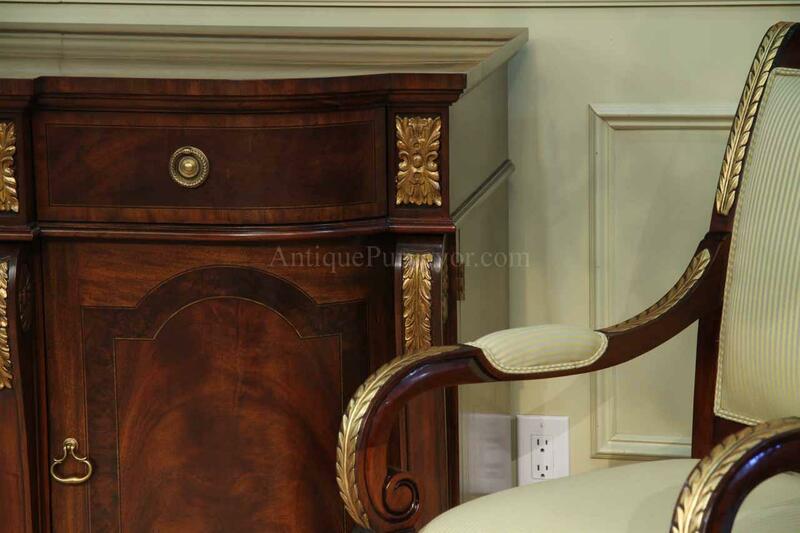 Mahogany dining chairs with fine gold leaf accents. 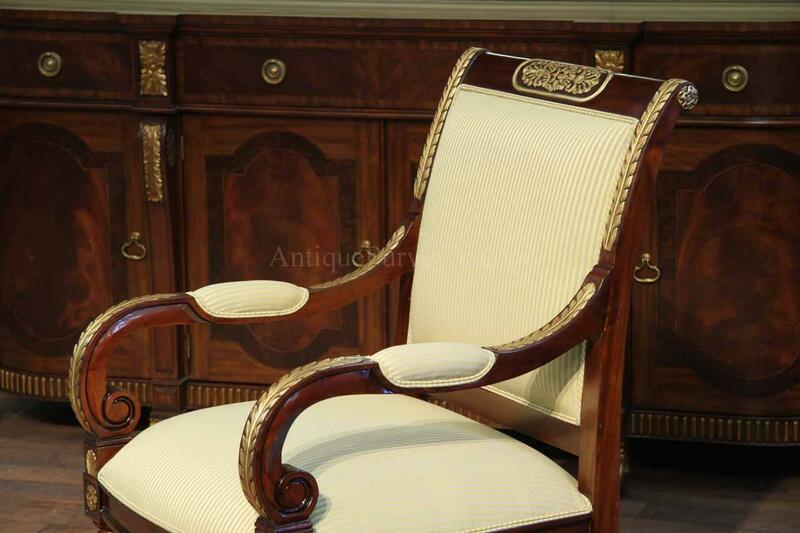 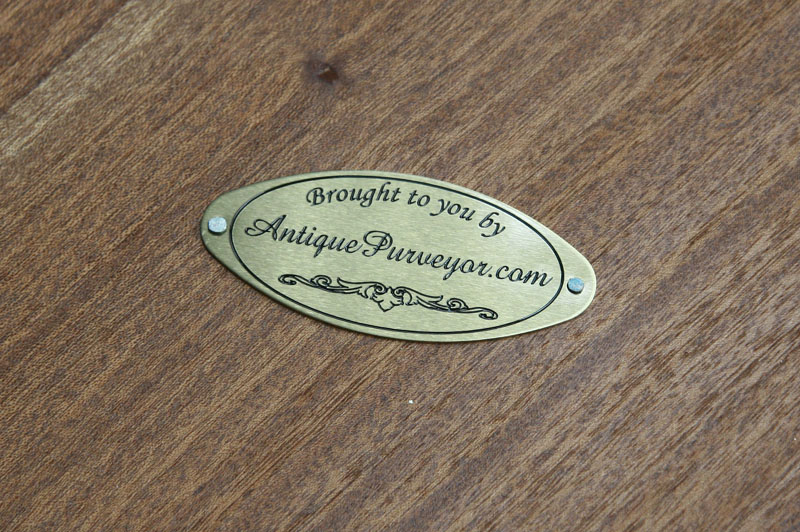 High end Mahogany dining chairs, made from solid mahogany. 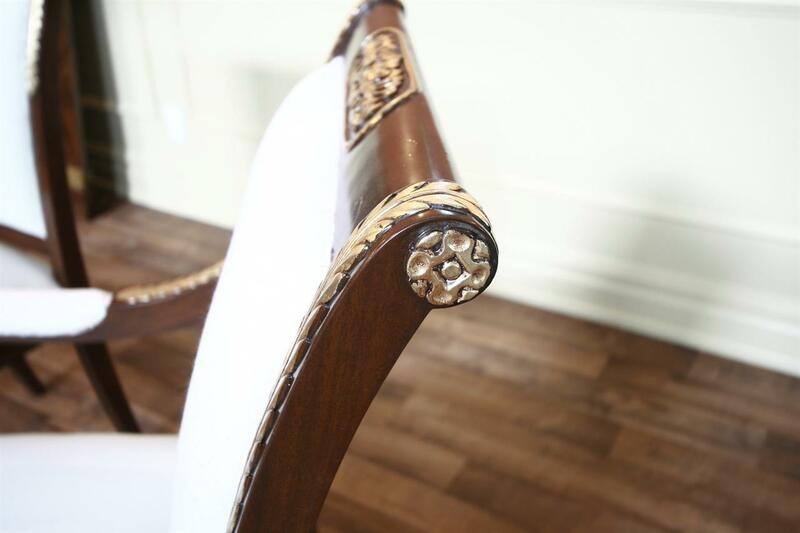 Upholstered dining chairs with acanthus leaf carvings. 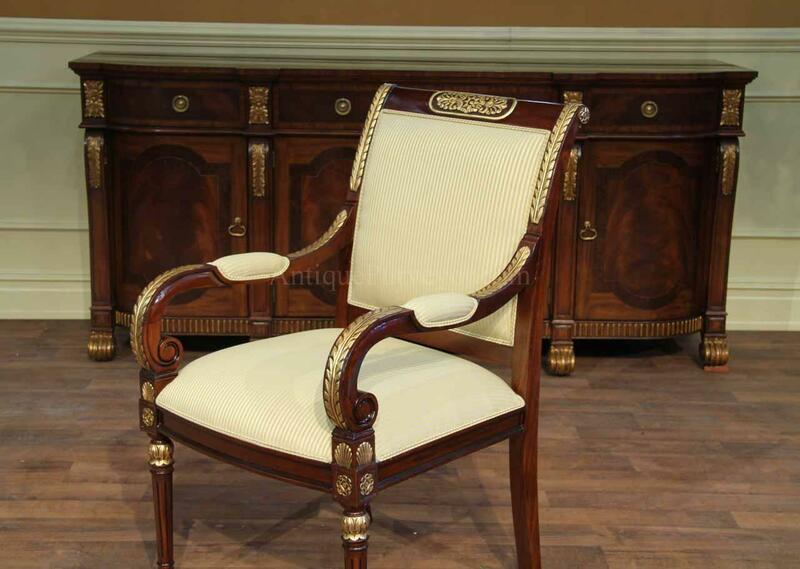 These chairs have firm seats and backs. 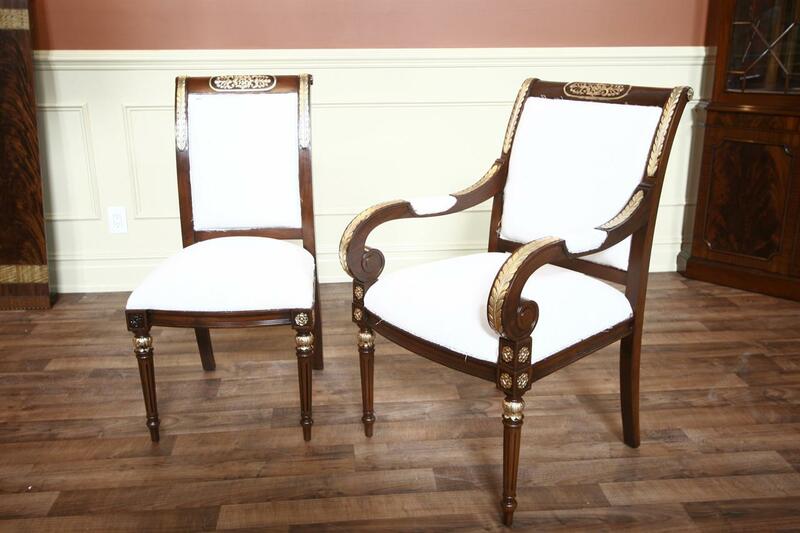 They are very comfortable. 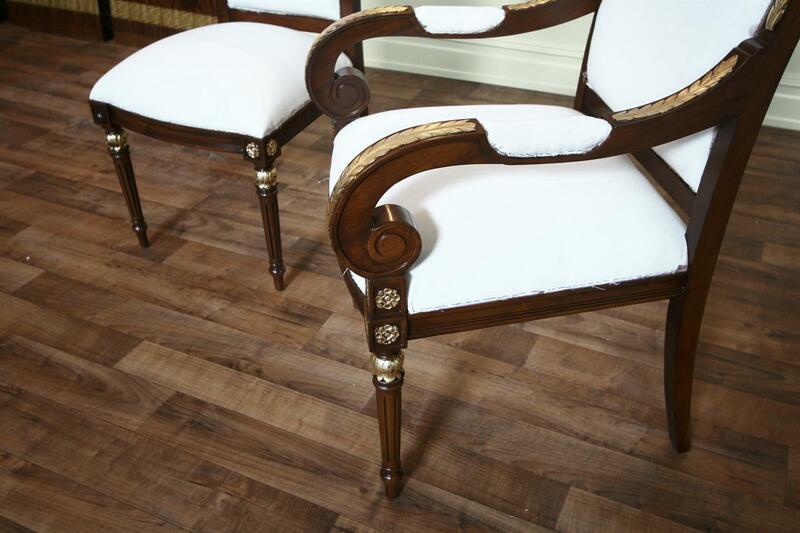 These chairs are the same as model EJV 9205 on our website, but they are toned darker walnut and have the added gold. 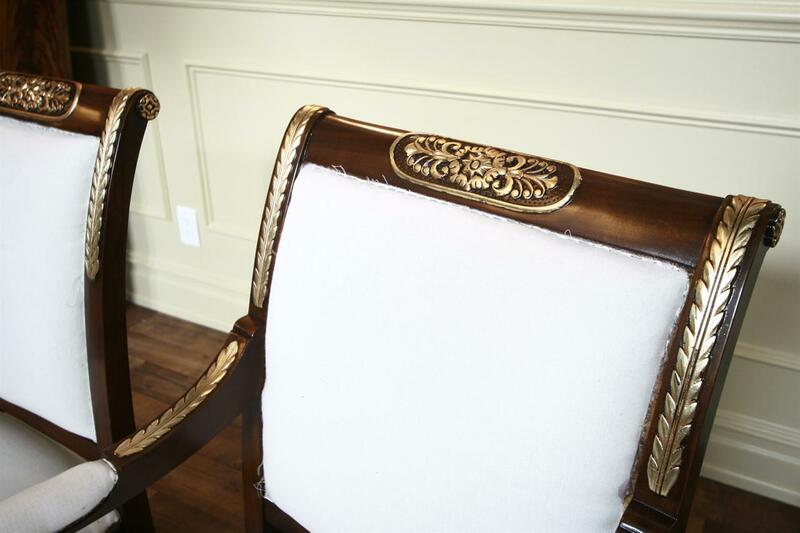 These chairs are finished in a local shop with real gold leaf accents. 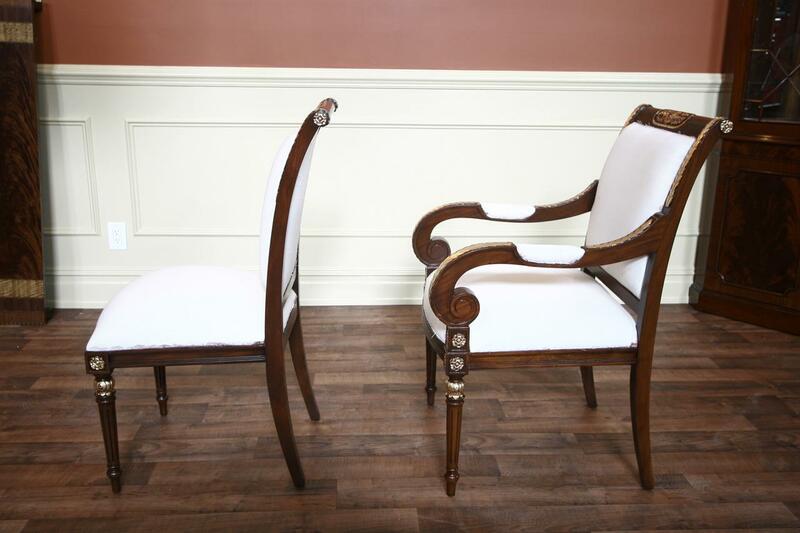 Please note when buying these chairs, you will not get a finished fabric. 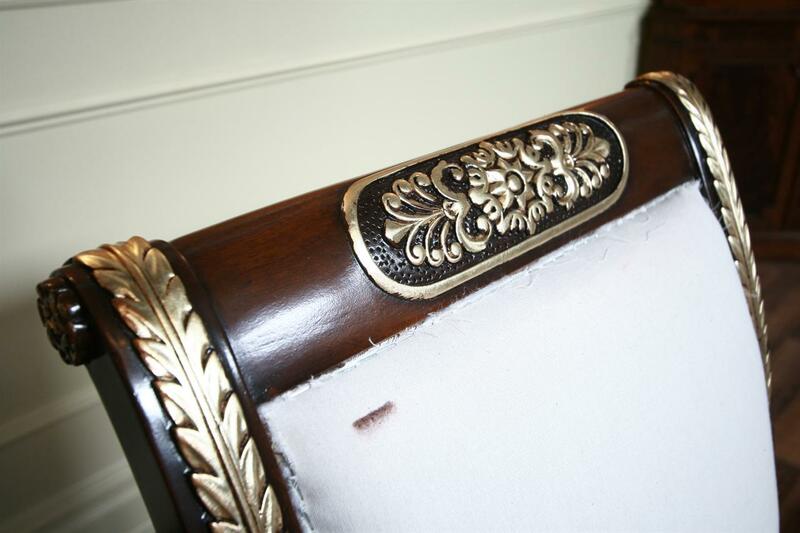 Fabric must be added at a later date and most of these chairs will have some over spray on the fabric so please inquire about these chairs if you want them with finished fabric. 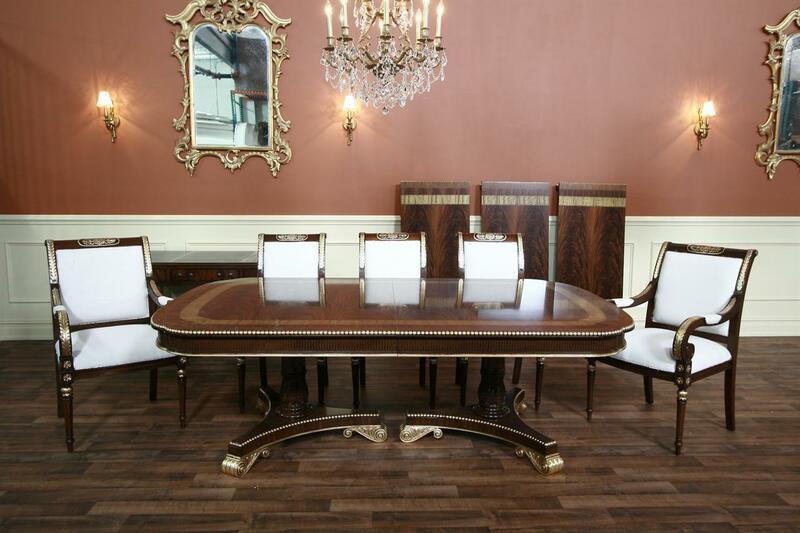 Color is brown mahogany in a medium dark shade. 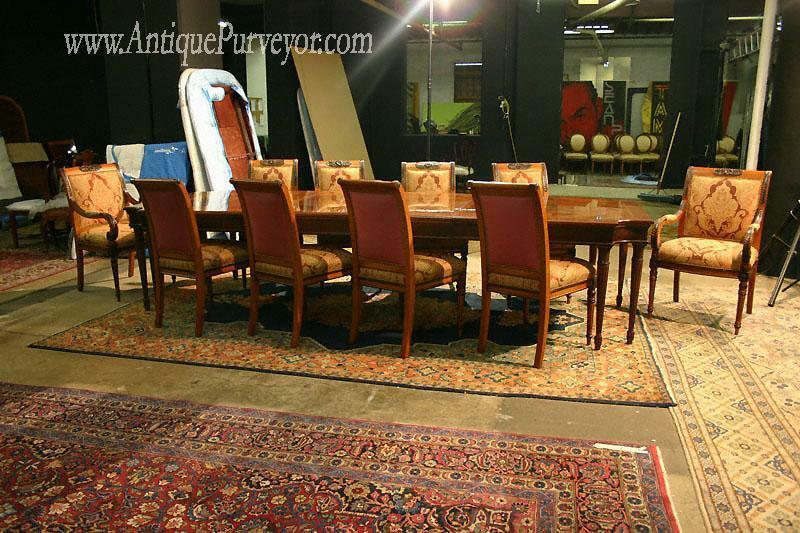 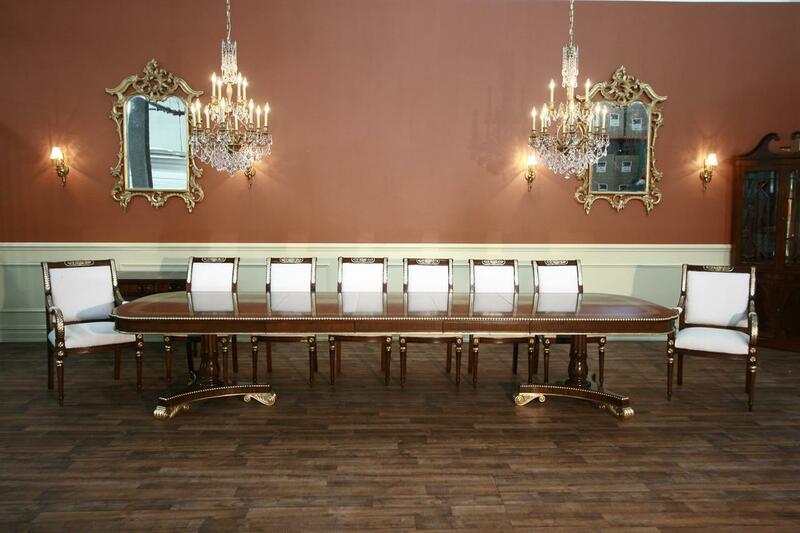 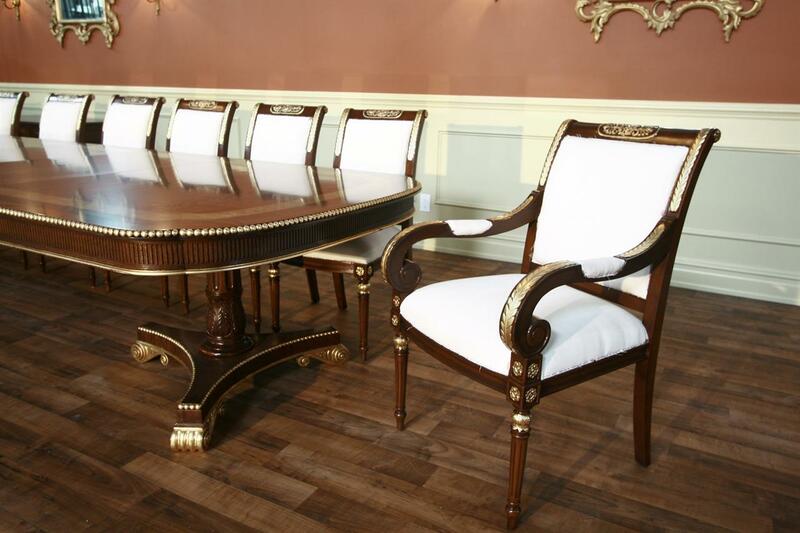 Very rich chairs and luxury chairs for a fine traditional dining room. 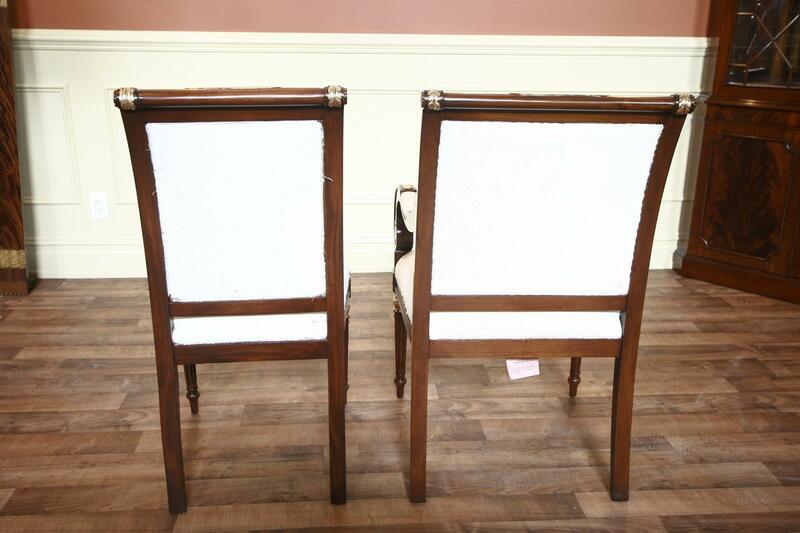 Measurements: Side Chair 21" Long x 20" Deep x 40" High , Arm Chair 24"Lx21"Dx40"H Arm chair measurements need to be confirmed.